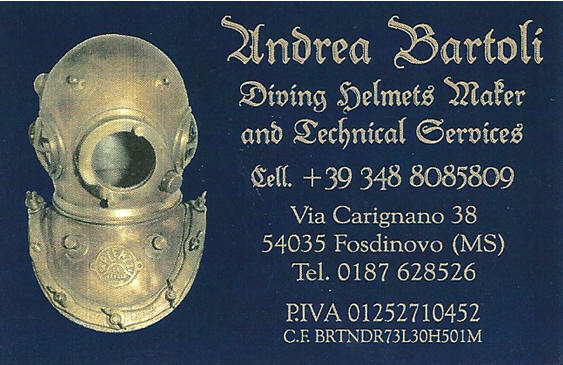 PRO.TE.C.O.SUB snc, the heritors of the Galeazzi-family is nowadays still continuing the production of the well known MARINA, GRAND-LUCE and TITANO helmets in cooperation with NAUTIEK and has decided to make again a small series of PBG helmets according the original design. The PBG helmet was in the fiftier years developed by Pirelli, Belloni and Galeazzi and based on a demand-valve breathing mixture to reduce the consumption of the expensive helium gas during deep diving operations and also to separate the flow of the breathing gas from the buoyancy system of the suit. A series of five PBG helmets was already produced on request of some collectors in the past years and the idea is to investigate the interest in starting up a new series of five of these helmets again next to the steady production line of the helmets, like mentioned before. Currently a prototype of the MARINA helmet with a top-window is nearly finished. Besides that there are plans to begin also later this year with the preparations for making again helmets of the Galeazzi three-bolt helmets, a less knower type that also was made in small numbers by their predecessors. 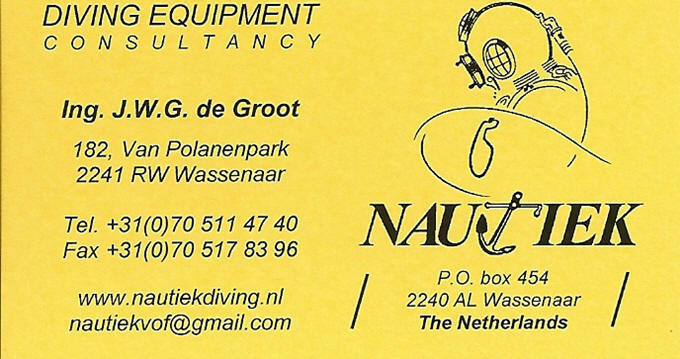 In accordance with PRO.TE.C.O.SUB snc, NAUTIEK acts as their representative for all countries, except Italy and will coordinate the requests for information and will take care for further follow-up.